Stay calm & order oil at a quarter full! I wrote a blog recently comparing an oil tank to a bank account and gave some reasons why it is a good idea to order your oil when you’re at one-quarter full. The message that I have today relates to the delivery side of that equation - The needs of the company delivering the oil. Every business, whether they are giant retail stores or small home heating oil companies, is trying to run more efficiently to keep costs down and to be more competitive. We are all trying to get the most production from our employees and equipment. Most heating oil companies do this by setting up delivery routes that maximize the amount of oil delivered in the shortest amount of time with the shortest route possible. You can imagine how this plan gets blown out when a customer who has run out of oil requires that a truck change from the planned route in order to respond to their need as soon as possible. A truck will go many miles out of their assigned route, creating a less efficient and less profitable day. Another way that heating oil companies try to become more efficient is by setting minimum delivery amounts. Maximizing the amount of oil delivered at each stop on a route is the ideal way to be more efficient and profitable. We understand that this would not be ideal for customers, who would have a larger amount to pay for the maximum delivery. So oil companies set minimum deliveries, which are a compromise between the maximum delivery and the minimum. 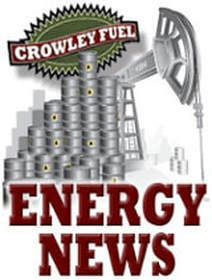 For Crowley Fuel the minimum amount is 150 gallons. This amount provides enough oil to heat most homes for a few weeks in the winter and keeps the amount to be paid down to a manageable number. 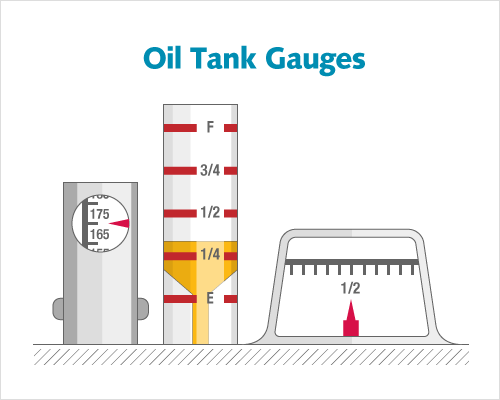 Customers must wait until their gauge reads a quarter-full before ordering! Too many customers call when they are at or above half-full when they order, resulting in a delivery amount that is sometimes lower than 100 gallons. This actually makes that delivery unprofitable for the delivering company. Many companies will assess a fee for making a delivery that is lower than the minimum amount. Crowley Fuel has not resorted to that method of enforcing a minimum delivery amount. We appeal to our customers to order when they are at or near a quarter-full. As explained in previous blogs, this leaves plenty of oil to heat most homes for a week or two before being in any danger of running out or of pulling deposits from the bottom of your tank. For those who have trouble keeping track of how much oil is in their tank, we offer automatic delivery. 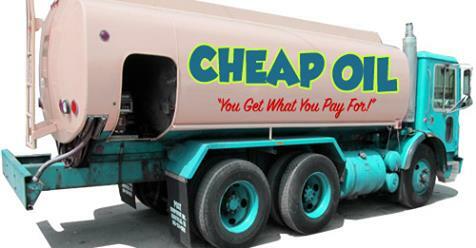 It doesn't cost any more for Crowley Fuel to calculate when you will need your next delivery! Call or visit our website for details. Un-cer-tain-ty (ǔn-sûr’tn-tē): The condition of being uncertain; doubt. Something uncertain: The uncertainties of modern life. Statistics. The estimated amount or percentage by which an estimated or calculated value may differ from the true value. No matter which definition you choose, uncertainty certainly defines the current state of heating oil prices. Will they continue to fall, or will they go up this heating season? I strongly suggest that you read this article. You will get an understanding of how oil was refined pre-1970s. I have been in this business long enough to have seen heating oil that was refined in the traditional process, and it was an excellent product that would keep in tanks for over 35 years without producing sediment (sludge). You will next understand why they use Catalytic Cracking to refine oil and the consequences of this type of refining. In the 1980s, I started noticing a difference with some of the loads of heating oil that we were receiving. When I asked an oil industry professional about the problem, he told me that the oil had been refined using a new process called catalytic cracking. The result of catalytic cracking was that oil was less stable while in storage. The solution was for me to begin using additives for my customers. These short few paragraphs explain what happens to the hydrocarbon molecules in fuel during the process of being refined through catalytic cracking. The molecules are broken into shorter chains that are susceptible to recombining with other unstable molecules in storage. This process is known as re-polymerization, and it results in sludge that settles in tanks, clogs filters and damages system components. To be sure, there are other things that will cause fuel to become unstable in storage. 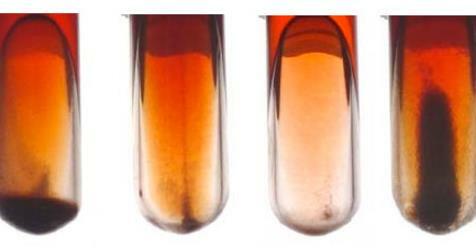 They are oxidation, bacteria, fungus, water and rust. These problems are not new ones, and have been around ever since people figured out how to make and store fuel from petroleum. The worst of these problems is water, because water is a necessity for microbial activity that, in turn, leads to ionization of the water, making it more corrosive. We all know what happens to tanks that have corrosives in them! The conclusion of this article is that good housekeeping, proper tank maintenance, fuel conditioning, filtration practices and the selective implementation of premium broad-spectrum additive packages provide a solution to problems created by fuel instability. Crowley Fuel has been using premium broad-spectrum additives in every gallon of heating oil that we have sold for the past 27 years. This is one reason we can claim to have your best interests in mind. We know about and care enough to sell fuel that will not cause unnecessary service problems for our customers. It costs a little more in the short term, but it’s the best course in the long run. You will NOT get this quality of heating oil from a discount fuel company that sells the cheapest oil and service! I recently attended a meeting for fuel dealers held by the Worcester Community Action Council (WCAC) in their office on the second floor of the Denholm Building at 484 Main Street in Worcester. The purpose of this meeting was to update us on changes in the Low Income Home Energy Assistance Program (LIHEAP) and Heating Emergency Assistance Retrofit Program (HEART). There was good news and bad news shared about this upcoming program year. First, the bad news is that there are no funds for routine maintenance service (tune-ups) this summer. It is unfortunate, but it seems that the WCAC has used up all the money they had for this purpose by helping their clients make repairs this past winter. Hopefully, they will have more money for this important service next year. Some good news is there may be more money available this upcoming year to be used for WCAC clients to use for emergency repairs. Last year there was a maximum of $600 allowed per client for repairing their heating systems. It is important to remember that these repairs can only be made for clients who own their own home. If you are a renter, it is the responsibility of the landlord to make repairs to your heating system. It is possible that WCAC will pay for repairs if the landlord is also a LIHEAP client. If You Are in Need of a New Heating System, Please Read the Following Information! An important part of the meeting was a segment explaining the greater level of funding available for the HEART Program. This is a program that provides replacement heating systems for WCAC clients who have old, unreliable and inefficient boilers or furnaces. This program is funded through contracts that WCAC has with the Department of Housing and Community Development (DHCD) and major utilities in Central Massachusetts. Please note that the HEART Program is not a new program. 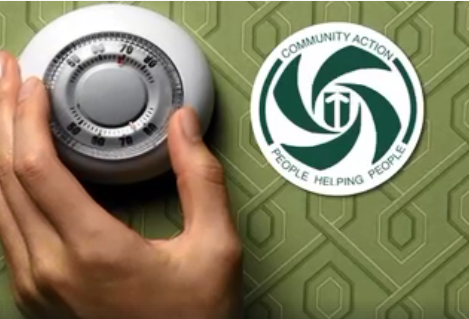 Many WCAC clients have had their heating systems replaced over the years through this program, and Crowley Fuel Company has done much of this work. It is a competitive bidding system, and we have lost some bids that we hoped to win, particularly those of our customers. Be assured that the work done through this program must comply with all state codes and is inspected by the local fire chief! I am sending this letter to inform you of these changes and to encourage you to take advantage of the HEART Program if you are in need of a new system or if you know someone who is in need and would qualify. Go to www.wcac.net, call 800-545-457, or contact me if you need more information or think that your heating system needs to be replaced. In a recent blog I explained that many older oil tanks are beginning to fail, and it is important for homeowners to do something to prevent a release that could cost thousands of dollars to clean up. The first option that I talked about in that blog was to add Tank Guard to protect the tank and cover replacement. I also mentioned getting pollution coverage from your homeowners insurance to cover a clean-up. Hundreds of our customers are enrolled in the Tank Guard program, and the $49.95 annual fee is a bargain for those who have actually had their oil tanks fail. If you want to reduce the risk of your older oil tank failing, then replacing it is your best option. There are oil tanks available that give you double protection against releases. These are tanks made by Roth Industries, commonly known as Roth Tanks. What is unique about these oil tanks is they have a blow-molded, high-density, seamless polyethylene inner tank that is leak proof and will never corrode. There is an outer tank made of leak-proof, weld-free galvanized steel and roll-seamed with an oil and fire-resistant seal. What can give you comfort as a homeowner is knowing that these tanks are made in Canada to German specifications and testing protocols. Each tank undergoes thorough testing, including ultrasound and pressure testing, to ensure optimal thickness and sealing. Should a Roth inner tank fail, there is a highly-visible optical leak alarm that you will see. Should the tank leak within 30 years of installation, there is a 30-year limited warranty as well as an insurance policy worth up to $2 million! The average price for replacing a 275-gallon oil tank is between $2,000 and $3,000, with Roth Tanks being on the upper end. I think you will agree there is great value in installing one of these tanks, especially if you are in an environmentally sensitive area. Crowley Fuel is a trained and authorized installer of these super-safe oil tanks, and we have a Roth tank in our showroom that has the outer steel tank cut-away to allow viewing of the inner plastic tank. Please feel free to drop in and see this tank, get more information and schedule a home visit for a free estimate. There is no way to know what the expiration date for an oil tank is. However, if the oil tank in your home or business is over 40-years old, it is possible that you will find out very soon. We have seen an uncommonly large number of older tanks fail during this past heating season. The good news is that none of them failed catastrophically, where a large amount of oil was released. They all started with a small hole developing, usually after a fill where the oil would start to seep out. The homeowners were able to smell, see and report the leak before very much had been released. Always investigate whenever you smell oil in your home. Any cause for this situation should be corrected immediately! What’s a homeowner with an older tank to do? Crowley Fuel Company has several options and suggestions to help you protect your biggest investment, your home. We have been installing and replacing oil tanks for nearly 100 years, so we have become knowledgeable in what can be done to help our customers with older oil tanks. The last thing that we recommend is doing nothing, because that can lead to a very large expense for cleaning up after a release of oil. The cheapest way to protect your tank and home is to purchase Tank Guard Protection, made by Lincoln Laboratory in Leicester, for $49.95 per year. We offer this service to our oil customers who buy their oil exclusively from Crowley Fuel. What you get when you sign up for this program is an initial inspection of your tank and oil line to see if there are any leaks or corrections to be made to satisfy fire marshal codes. 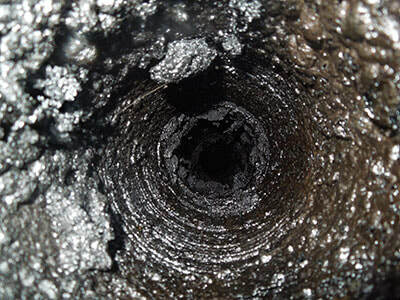 We will then add two ounces of Concentrated Corrosion Inhibitor into the fill pipe of your oil tank, which will end up in the bottom of your tank where the corrosive agents and water may gather. Your tank becomes covered for one year from the date on which you paid the fee. This coverage includes most costs to remove and replace your oil tank - A value on average of $2000! 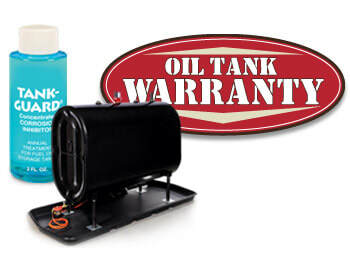 The Tank Guard Program will cover the replacement of your oil tank if it should fail, but it does not cover any cost for cleaning up the oil that is released. This can amount to a much larger cost than what you will pay for replacing the tank in the first place. One option that you have for covering this cost is to contact your homeowners’ insurance company and get pollution coverage. If your oil tank is not leaking, and, if your oil line is in compliance with fire marshal codes, you are eligible for pollution coverage from your insurance company. It is not very expensive, and it all starts with an inspection, which Crowley Fuel can perform for you. If all is in order, we will provide you with a form that you can present to your insurance company stating that you are in compliance. They will then quote you a price for coverage, and you can accept or reject the coverage if you choose. If all is not in order, we will give you an estimate for the repairs that will be needed to bring your oil tank, and especially your oil line, into compliance. In future blog posts, I will discuss the options you have for replacing your oil tank. I will be presenting information about the different oil tanks that are available, including the Roth Double-Wall Oil Tank. Heating oil ads - Is that all you got? Customers who are considering saving money by buying oil from discounters should know that they may ultimately end up paying a higher cost and experience an inconvenient loss of heat as a result. What you need to know is that petroleum is unstable and will break down in storage if not treated properly. You will have problems with gasoline if you don’t add a stabilizer before you put your gasoline-powered equipment away for the winter. It’s the same thing with heating oil, only worse! Heating oil stays in your oil tank for many months before it is burned, which is plenty of time for it to break down and form sludge, which will plug up the oil filter, oil line, fuel pump strainer and ultimately the nozzle, all of which will cause your burner to fail unexpectedly and cost you money. What you need is an additive in your fuel that will stabilize it and prevent the sludge formation that causes you to have unexpected service calls. Not only will a good additive prevent unexpected service calls, it will also maximize the performance of your heating system with a carefully-balanced group of active ingredients. This additive will cost you less in fuel and extend the life of your heating system. 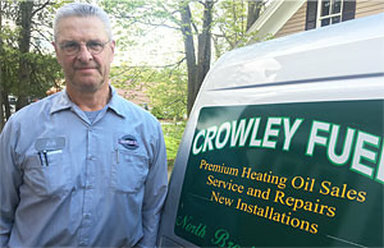 We at Crowley Fuel Company have been selling heating oil that has been treated with an additive for over 25 years! Every gallon that we sell has been treated with Heating Oil Plus, which is the best additive available to treat for all of the issues that I previously mentioned. Just look at the difference between an oil filter cartridge that was removed from one of our long-term customer’s oil filters and one that was taken from a recently-acquired customer’s oil filter. Both cartridges had been previously replaced within a year of these pictures. The cartridge from the Crowley customer’s oil filter is gray, but it is not slimy with sludge like the one from the customer who had been buying oil from a discounter who does not use a fuel additive. There are many other reasons for asking, “Is that all you got?” of a discount oil company, and I will highlight them all in future blogs. But if you can’t wait that long, please check out Ten Questions to Ask Your Oil Company on the Crowley Fuel website. You may have heard ads recently on WSRS and WTAG telling listeners that the weather is being sponsored by Crowley Fuel, and there is a phone number listed for people who are interested in having a Mitsubishi Ductless Heating and Cooling System installed. We took advantage of the opportunity to be part of the I Heart Radio Advertising Campaign this spring and have found it to be very effective in bringing new interest and business for an excellent system that we have been installing for five years. Now is a great time for our customers to have a Mitsubishi Air-Source Heat Pump installed because of the generous rebate programs available through MassSave and the Mass Clean Energy Center. A homeowner with an average income can get back as much as $3,000 on the largest system that Mitsubishi makes. If you have a home that heats with electric resistance, and your income is at or below 80-percent of the state median income, you could get back up to $6,000 in rebates! On average these rebates will defray 25-percent of the cost to install these systems. 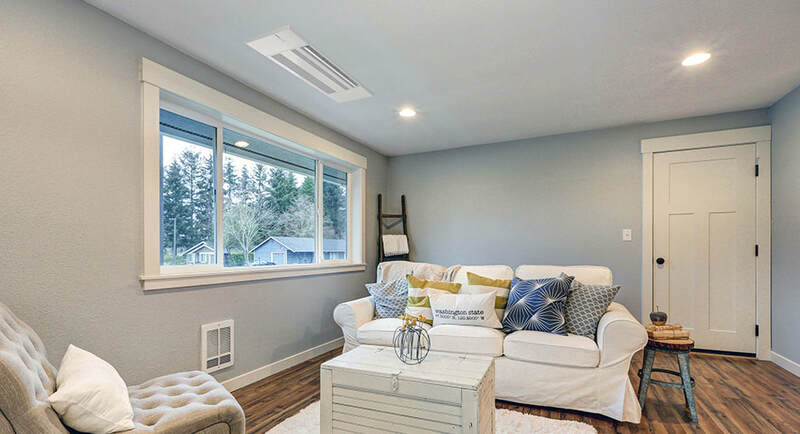 These ductless air-source heat pumps are the best way to provide cooling and heating to a home that is not already equipped with a central air duct system. The lines that supply the indoor evaporator units run up the outside of the building and are covered in protective plastic called, appropriately enough, line hide. It looks like rain gutter, comes in four different colors and is paintable. You will always find me prepared to answer your questions about Mitsubishi Heating and Cooling Products and give a free estimate for installation. 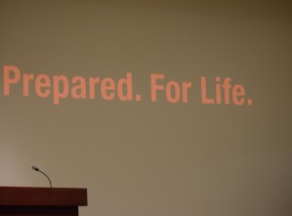 The Mohegan Council BSA held a Prepared for Life Breakfast on Thursday, March 31 at the Hogan Center on the College of the Holy Cross campus. I am proud to say that Crowley Fuel Company was one of the major sponsors of this event, which had 160 people in attendance. Besides a wonderful breakfast provided by Holy Cross, we got to hear the important message about how Scouting positively impacts the lives of our youth. Between the opening message from Council Volunteer President Jeremy Ahearn to the closing remarks of Council Scout Executive Jeff Hotchkiss, we heard testimony from three Cub Scouts, two outstanding Scoutmasters and one Eagle Scout candidate. The impact that the program had on their lives was evident and profound. Please read about these Scouts and Scout leaders in the program that is attached. Keynote Speaker Dan Warren was a doctoral candidate at Tufts University and was part of a study on the impacts that Positive Youth Development (PYD) had on the youth of Boy Scouting and 4-H programs. The statistics that were generated by their study were extremely impressive and, in some cases, surprising. But this was information that most of us in the room who support Scouting already knew. To learn more about this presentation, please see the power point presentation that is attached. I have chosen Scouting Programs as the major recipient of our contributions, not just because of the positive impact that it has had on my life, but because of the impact that it has on our youth currently in the program. We will continue to support local organizations and youth sports as we have for all of these years. There was an interesting statistic showing that young people involved in Scouting and sports scored high on the values that were being looked for in the study. I encourage anyone who has a Scout-age child (5 to 18) to find out more about your local Scouting program, and for those of you who are older, like me, to consider volunteering time, knowledge and skill to an organization that makes a difference for youth. You can contact Mohegan Council BSA at 508-752-3769 or mohegancouncilbsa.org. You can always contact me for information, as well. I have been reading the book entitled American Canopy by Eric Rutkow, which is a history of forests in America since the European settlers arrived. It’s an interesting story that starts with the King’s Pines in New England and tells of the demand for building materials as the nation was expanding, the fungus and blights that killed the chestnuts and the elms, to the conservation of forests and the creation of the U.S. Forest Service. It’s a great history lesson that gives a clear understanding of one of the natural resources that made our country great. I strongly recommend that you read this book! This book has shown me how important our forests have been in this country and what a long way we have come from the early days when colonists would burn 10-plus cords of wood each winter just to keep their cabins above freezing. We can be very proud of the efficiency with which many of us use wood products now to heat our homes, businesses and municipal buildings. The key concept here is sustainability. What we must do is manage our forests so that we can continue to harvest wood indefinitely into the future. The best of these wood products are the wood pellets, because they are typically made from wood that once would have been the waste from lumbering operations. The wood pellet industry sets standards for the processing of pellets that most companies comply to voluntarily. These pellets are far superior to other wood fuels, and, when used in highly-efficient pellet stoves, result in efficiencies over 80-percent! We have certainly come a long way from the days when the colonists cleared the forests of all the trees to heat their homes! This all brings me to New England Wood Pellets (NEWP) and the future of wood heating. This company is one the best when it comes to meeting industry standards. They were the first to meet those standards in all three of their mills. Their slogan, Pride in Every Pellet, describes the way they manufacture their product and the care they take in making sure their customers are satisfied with their product. 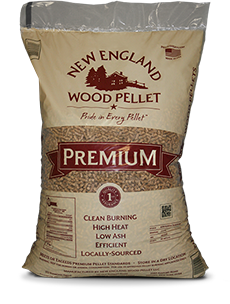 And much of the material that goes into their pellets comes from central Massachusetts, so you know it’s a local product. We have just received the new prices for the second quarter of 2016 from the New England Wood Pellet company, and they are very reasonable indeed! We will start receiving shipments in April, and our new price per ton will be $241 if picked up at our garage. Our low delivery rates will not change, so heating your home with New England Wood Pellets will continue to be a very economical thing to do. If you haven’t tried NEWP yet, I recommend that you come in and buy a few bags to try while the nights are still cold enough to use your pellet stove.